Most of us have scratched our heads at the financial crisis of 2008, while a select few have the knowledge to comprehend that and the aftermath. Can a thriller finally shed some light on the situation? The film, written and directed by newcomer J.C. Chandor, focuses on a 36 hour meltdown in the banking world where the decision to sell worthless shares, which will destroy the world economy but keep the sellers corporations afloat, is explored. A somewhat dull sounding film is presented in a dramatic and entertaining approach, focusing on a handful of characters starting with Zachary Quinto playing a junior employee who is both intelligent and servile. What’s more the film’s scope is repeatedly enlarged by bigger fish in the pond. Notable executive bosses are played by Kevin Spacey who is more concerned about his dog’s declining health than the financial catastrophe and Jeremy Irons, the messiah of the company. The film focuses on large-scale decisions and is heavy in dialogue but the brutal frankness among the characters keeps interest high. Paul Bettany’s character continually discusses rumoured wages with these figures becoming more and more astronomical. One of the best ponderings was, ‘how do you spend two and a half million dollars?’ Apparently seventy thousand goes towards prostitutes. The most appealing aspect of the film is it’s restrain at criticising the actions of those few men and women involved. 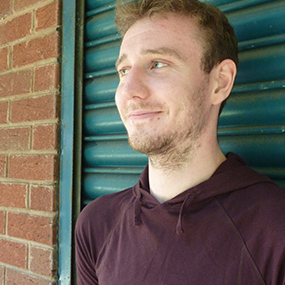 By resisting simple villainous characters we get an impartial insight into the decisions those key players make which results in each portrayal being believable. 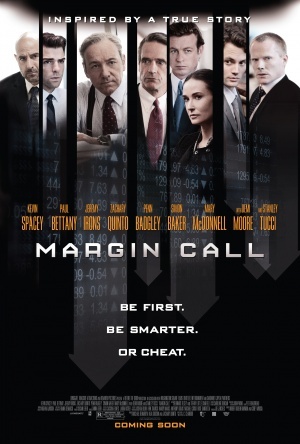 Margin Call’s ensemble cast is one of the best of recent years. Notable actors are Spacey, who expresses the pressure and guilt the character acquires brilliantly, while Bettany is convincing as a high-flying stock broker floating around in an expensive suit and fast car. Margin Call is a fascinating, objective insight into a closed business and although heavily dramatised, it’s well worth a watch for entertainment and educational purposes. Matt Kidd - Dangerous cyclist. View more reviews, articles and franchises by Matt!